Hello! Welcome back to Get Crafty! 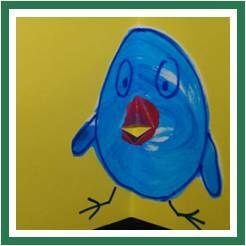 This month’s theme was “Inspired by Nature”! My interpretation was the loosest possible sense: from drawings of animals and trees to things made out of sticks and stones. 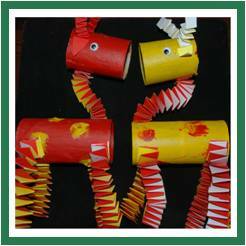 Once again a WONDERFUL collection of crafts to keep you inspired the whole of the summer! If you like the look of something DO PLEASE show your appreciation by clicking on the link and thus telling the crafters that “you like”!! If you feel inspired, do embed the Get Crafty logo on your site – go to the Get Crafty tab and scroll to the bottom of the page for the code! 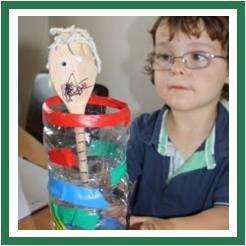 Next Get Crafty challenge is “Made by Man” – we had Nature, now show us what Man can do – from robots, to cars, to rockets, to cardboard kitchens and dolls houses, to toddler handbags, to puppets – your imagination is the limit!!!! Submissions by 28 June 2010. Aly has made another LOVELY contribution to Get Crafty. 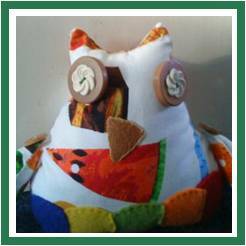 This month she brings us this GORGEOUS doorstop owl! I want one. I have been oohing and aahing about doorstops for Red Ted’s room for ages and now I have a solution. Thank you Aly! Love it love it! Jane over at Fired4U made the cutest little butterflies with little mini potter. Wouldn’t these look great as a mobile? Or just individually dotted around the house. Lovely! Getting crafty in the garden! 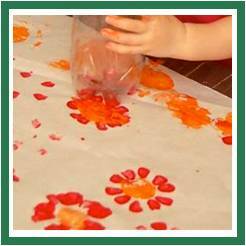 As this is Nature Get Crafty, how can we not venture out into the garden without being creative. 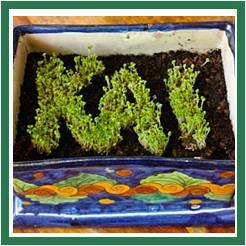 I just LOVE this little project – perfect for thos amongst you with little ones learning to read and write – a double whammy reward: see the seedlins grow and watch your name emerge. What fun! More gorgeous stuff from Ariella at Childhood Magic! 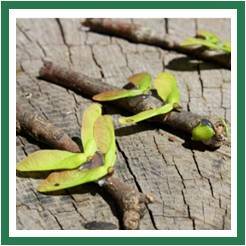 Lisa at 5 Orange Potatoes brings us 2 for 1 – two lovely ideas for crafts with twigs! 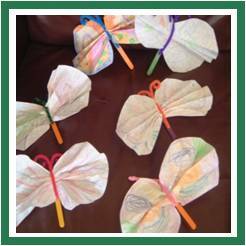 The dragonflies are super quick to make and will keep your little ones entertained for a little while. Hope over to Lisa’s blog and take a look at her easel too. How simple. How fabulous! Now, I really wanted to use “the final” images as these flowers are so pretty, but, even more I wanted to use one of the “action shots”. Valerie’s girls look like they were having SO MUCH fun that I can’t wait to try this with Red Ted, as soon as possible! 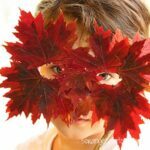 Valerie is the author of Frugal Family Fun Blog , where she posts daily about her obsession with inexpensive crafts, family activities, and all around good times on a budget! 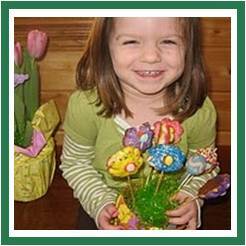 You can read more about her at http://www.frugalfamilyfunblog.com – go on, hop over and see what else they get up to!!! 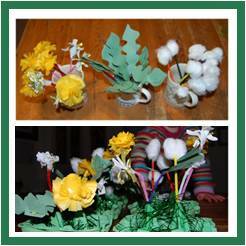 Nicole, who brought us that ingenious Paper Flower How To, now brings us these lovely Kitchen Roll Flowers. Now, these look SO good, you would have thought they’d go in the adult section. But go and check out the instructionsand I am SURE You can make these with your children. They look so simple and sweet. I am saving some cleaning product squirty bottles, so I can make my own “colour dispensers” and will have a go. I know Red Ted will LOVE squirting he colour…. I knew the Nurture Store would come up trumps again, as Cathy is always coming up with new and creative ideas, some simple, some ingenius and some that childhoods are made of! 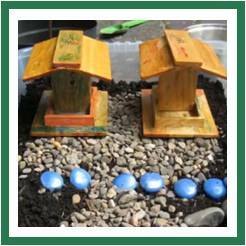 Here is her little girls’ Fairy Garden! This will no doubt remain a treasured memory for many years to come! Hope the fairies stay too! (I particularly like the blue stone path.. and the execution of the post! Lovely). One of “my” submissions, Red Ted and I made these as part of our story + art series of crafts, as well as in anticipation of Father’s Day. The chick’s peak moves when you open the card! Hurray! 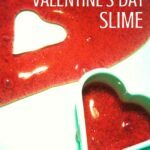 Very simple to make and will really please your children! 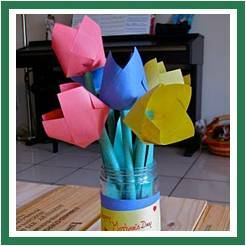 These paper tulips are simply lovely! 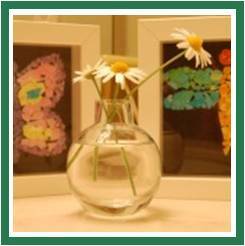 Who says you should “just” give them at mother’s day? Surprise Granny or Mummy at any time of the year. Go check them out over at Mini Cuties!! I love this project! 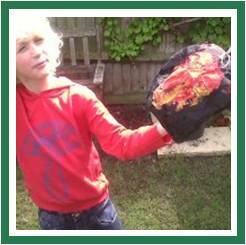 It actually started off as a project for Red Get Crafty (so I am told), which went wrong, but the craftiness and high spiritedness of the 7 yrs old, turned it round and made it into this FABULOUS meteorite. Read more about what happened here! Love this take on “Nature Get Crafty” – At The Madhouse, they are “interacting” with nature by making this super simple, but fabulous rain catcher! I love the rain marker that they made and that they will be using this to lear about the weather but also some maths! As part of my weekly craft session Red Ted and I made these Giraffe marionettes. Ok, so I made them, but Red Ted helped paint, stick and fold and he most certainly loves playing with them. Hurray. Take a peak here. 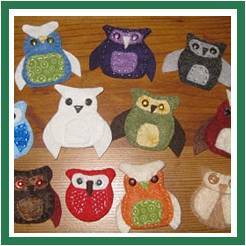 I LOVE these counting owls over at Counting Coconuts by Mari-Ann, which is FULL of fab Montesorri inspired crafts for kids. Go and check it out. I will def be off buying some felt to make some for us! And I will definitely be dipping in and out of Mari-Ann’s great ideas! Oh My! How GORGEOUS are these. So simple and so effective! 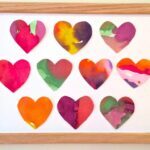 THese are definitely something to be made with older children or as a fun project for yourself. Ariella at Childhood magic, shows us the way! Cara over at Freckles Family, was a little late with this entry for “Red” – luckily it still fits with “Inspired by Nature”. So here we are! 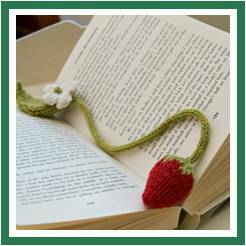 I think that this is simply the cutest little bookmark and I will SOOOO be knitting one of these once I have finished a couple of other little crafty projects. Great one for using wool leftovers! Go on, check it out! 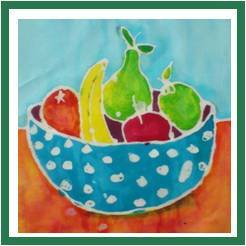 I remember Batik attempts from my school summer fete days. I don’t actually remember any of the results. But Anji at Pom Pom Emporium, makes it look easy (enough) and fun. Definitely worth having a go with older children? Or just for yourself!! Very Get Crafty in the Kitchen! 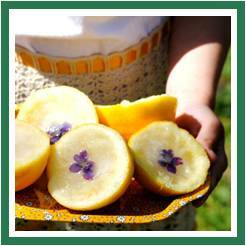 In the spirit of nominations these mouth watering lemons were submitted by Diary of a First Child on behalf of Gardenmama. Just looking at them makes me think of lazy summer days. How refreshing these must be. 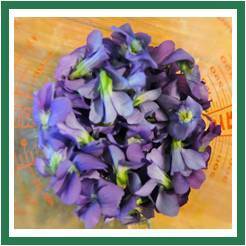 Visit Gardenmama for more info!! 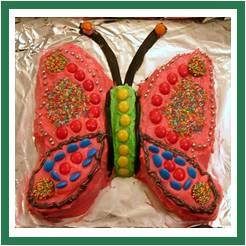 Tania over at Lavender Bay shows us that you need no excuse other than butterflies in your tummy to make a goreous cake creation! Yummy. Pop over and say “hello” – she is new to blogging!! 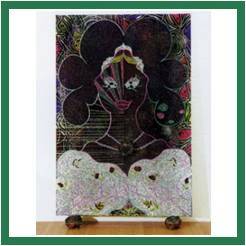 What could be more inspired by Nature than Chris Ofili’s elephant dung paintings! 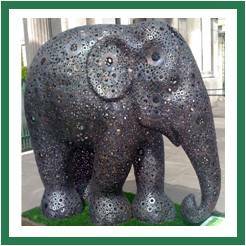 Yes, that is right, Chris Ofili is renouned for his work with elephant dung, I thought I’d share these with you :-). This one is Strange Eyes 2001, but to read up on more! More on Mr Ofili himself here on Wikipedia! 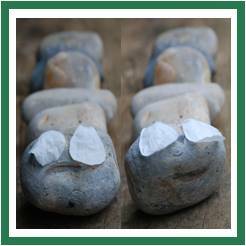 We couldn’t get to a beach, but still wanted to “take part”, so friends of ours brought us some Brighton Beach stones and we got Inspired by Nature at home.. these are our “hungry & happy caterpillars” – using the same set of stones. We had lots of fun playing with them in the garden. No doubt we will paint them ONE day..
A charity fun raiser and art “installation” in London Town… I think these are particularly “fun” for young children, so though would share these with you. Being “stuck at home” these days, I am showing you Sarah’s Bass’s photo (a twitter buddy). 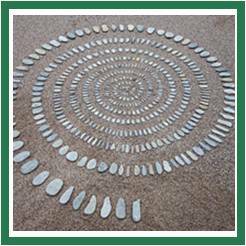 She managed to find 10s if not 100s of the elephants! Absolutely inspirational I am going to ask you if we can borrow your caterpillar post for baby budgeting and sdo a link thorugh to this as brilliant low cost family fun! I feel so honored to be among so many great ideas! Thank you! And I can’t wait to check out some of these other links — thank you so much for compiling this list for everyone. I would like to join, we made a wind chime (http://dalleuncolinho.blogspot.com/2010/05/musica-en-el-jardin.html) and a nesting dispenser ( you can see it here: http://dalleuncolinho.blogspot.com/2010/05/dispensador-para-nidos.html). Pleasure! Lovely to have you on board! I’d love to join in on the man-made link up!! Thanks for asking to include me!! Can’t wait to scan through the rest of these and check them all out!! I’ll be sure to grab your button!! I would love to take part…sorry I didn’t get back to you from Saturday’s post but blogger has stopped emailing me my comments for some strange reason. or any other post you feel is appropriate. 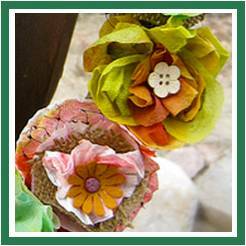 What a great list of nature inspired crafts! Thanks for sharing :). You’re more than welcome to feature my Father’s Day coasters! Thank you so much! Will you let me know when the feature is, please? I’d love to come check everything out. Thanks again! Fabulous! Looking forward to ManMade Get Crafty! Will post 1 July! But try and send a reminder email too! i feel so honored to be included in this great round-up! thank you for mentioning us! i love your blog! Pleasure Jen – how funny though, this is an old post – I was updating some links for another blogger… looks like it trigger the link to your site!! 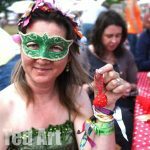 🙂 doing another get crafty v soon – theme WEATHER – if you fancy joining in!